Are you an "adventure traveler?" That's right an adventurer traveler! Adventure tourism is becoming a popular travel niche all over the world for adventure seekers. These are people who don't necessarily want to sit on the beach with a cocktail with a tiny little umbrella in it, but rather experience the great outdoors through participating in activities. Iceland is at the top of the list when it comes to adventure travel. Similar to New Zealand in it's many different terrains, Iceland offers just about every outdoor activity imaginable! Here are a few steps to having the best Iceland adventure ever! Even though Iceland is the second largest Island in Europe, it's easy to travel from city-to-city by car and even the furthest cities are less than a days drive. It's best to start your journey in Iceland's capital Reykjavik. Reykjavik provides all the amenities you would come to expect from a modern city but with a charming historic background. You can find many fine places to stay in the capital city including American favorites like Hilton and Radisson Hotels. 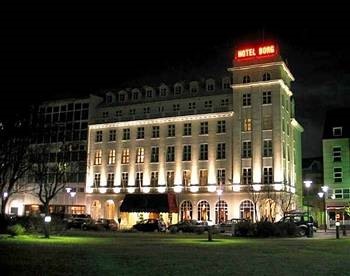 However, if you are looking for unique Icelandic accommodations consider Hotel Borg, Iceland's first luxury hotel built in 1930 or the Icelandica for a more bed and breakfast type feel. Step 2 Finding the Right Adventure! Adventure can be found all around you in Iceland! 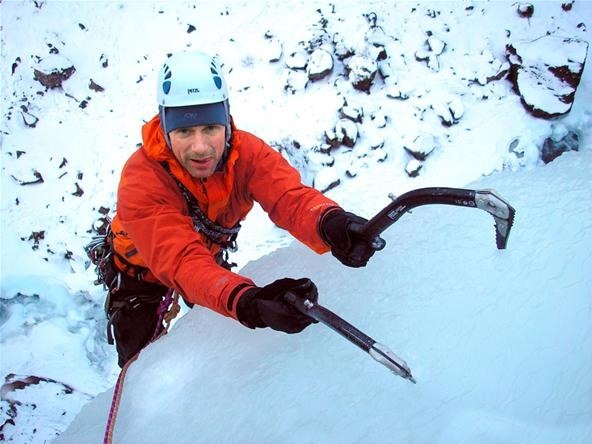 When looking for the perfect adventure, it is best to seek out one of the acclaimed Adventure Tour Guides in Iceland. First hand, I chose Icelandic Travel Market (ITM) and was able to choose from a variety of guided tours! Choose from a variety of adventures that include but are not limited to skying, climbing, ice climbing, hiking, snowmobiling, 4x4 jeep tours, horseback riding, whale watching, scuba diving, and so much more. Personally, I like to take advantage of the snow and try things you can't really do else where. The glacier hikes are amazing and provide extraordinary photography opportunities. If you are really looking for a challenge try ice climbing! Using special shoes with spikes in the toes and an ice pick in each hand, as you scale one of Iceland's many fjords. After a long day of braving the great outdoors in Iceland you may want to relax. Iceland has a great old-fashion take on today's modern-day spa. They are called natural hot springs and Iceland has many of them. Hot springs are said to be great for the the body offering many health benefits. Experts say the minerals that are found in hot springs originate from deep within the earth's crust and the minerals are great for the skin and relaxing muscle tissue. The most famous Icelandic hot spring is the "Blue Lagoon." 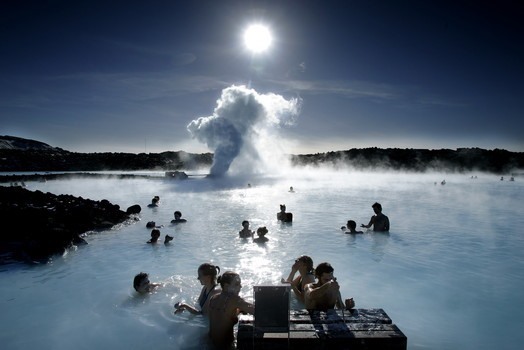 Just 20 miles out of the capital city Reykjavik, the Blue Lagoon's warm waters average 98-102 degrees Fahrenheit and delights locals and tourist alike year-round. I went to Iceland earlier this year and had a fantastic time. I'll post some pics/links to the corkboard. Wow! Rachel I would love that!! Can't wait to see those. Nick, how often do you go to Iceland? I'm Swedish to begin with, so when I travel it's usually to northern Europe. Iceland was a stop I made a few years ago. It's a blast and a must see travel destination!